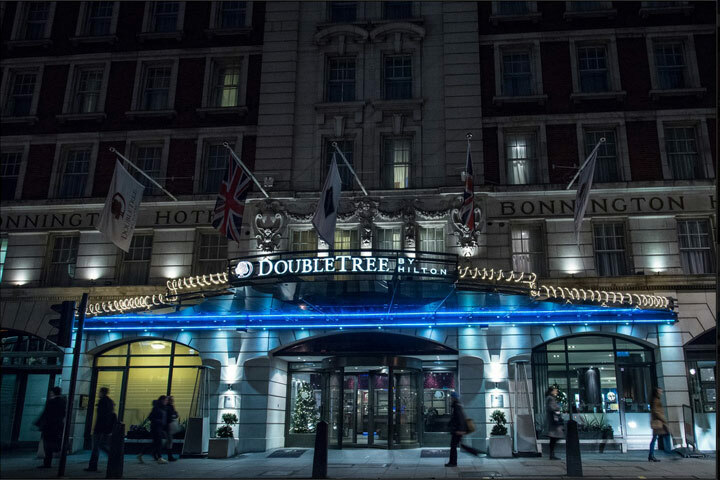 Historic charm meets modern elegance at the Hilton Hotel West End where you will be conveniently located next to a multitude of iconic London landmarks and areas such as Soho, Covent Garden, Regent Street and Hyde Park. 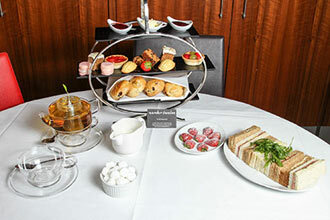 You will enjoy your afternoon in the stylish Restaurant 92, which boasts soft furnishings and a calm and tranquil atmosphere, the perfect location to enjoy an afternoon tea. 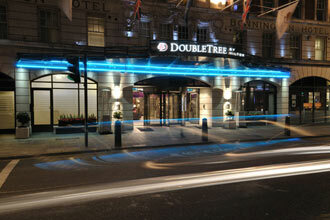 On arrival you will be greeted by friendly staff who will seat you in the contemporary Restaurant 92. Your afternoon tea will include a selection of freshly made finger sandwiches such as smoked salmon and cucumber with cream cheese. You will enjoy a delicious lightly warmed scone served with clotted cream and fruit preserve, a gently toasted tea cake, sweet pastry and a slice of rich fruit cake. 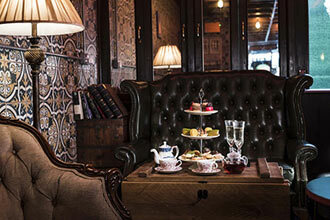 You will also have a choice of traditional and herbal teas and infusions accompanied by a glass of Prosecco each. 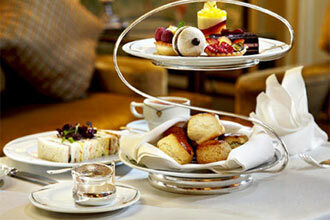 Once you’ve devoured your afternoon tea you will be perfectly placed to explore London. Good location for theatre and afternoon tea was excellent. We were seated on a great table with a view and had white linen napkins and cloth which is always a treat. Food was great and more than ample. Topped up tea as often as we liked and sent us off with a packup of scones for later. service was calm, relaxed and helpful. Had a wonderful afternoon in a lovely hotel. Only complaint was I ate too much ! Rundown, bad service - but was a gift! We were given this as a gift as my partner's mother thought it would be a real treat. When we arrived we were greeted by a waiter who said theyd already served the last afternoon tea booking of the day - we showed our printed off voucher and confirmation email and eventually were seated. There were dirty glasses and plates piled up on the bar area suggesting they were probably short staffed that day... We were served the afternoon tea and that was also unsatisfactory - we could see that ours was different from others around us and they'd clearly run out of certain items and doubled up some things and just didn't give us others. There was also a huge smudge of chocolate mousse down the side of one of the scones. Overall it was fine, nothing special and there are so many nice options in London that I wouldn't recommend this - I'm not sure how much my mother in law paid for it but I can't believe it was good value and it wasn't a great experience. Hotel is not a close walk to any attractions as claimed nor to West End shopping being between Holborn and Russell Square tube stations. Tea experience was average, bog standard sliced bread sandwiches, scones and boring choice of cakes. Doubt anything was freshly made on site. Have experienced much better elsewhere for a similar price. Dining room whilst pleasant looked out onto street. Might as well have gone to local coffee shop. Thank you for taking time to provide your feedback. I am sorry that you felt the location was not conveniently placed for you and the food was average. 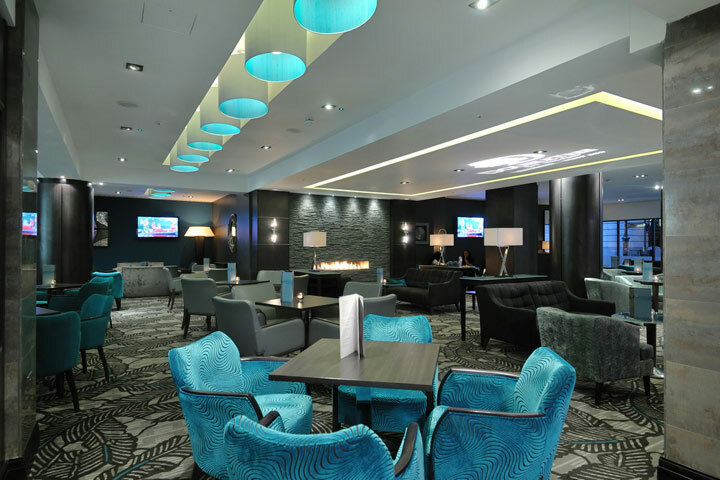 The Hilton London West End usually receives great feedback, so I am sorry that on this occasion you felt it fell below expectations. I can confirm the Hilton London’s food is all freshly prepared on site, so I am surprised that you felt this was not the case. I will pass over your comments to the venue in question to allow them to improve their services. That being said, I am glad you found the dining room pleasant, and hope this experience does not dissuade you from enjoying our experiences again in the future. Thank you once again for providing your valuable feedback and I am sorry for any disappointment caused.